Pucker Street Bed & Breakfast Our records show that this inn is closed. Marion bed and breakfast travel guide for romantic, historic and adventure b&b's. 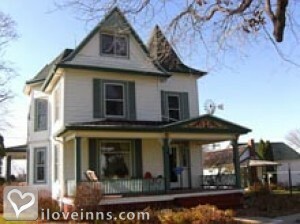 Browse through the iLoveInns.com database of Marion, Iowa bed and breakfasts and country inns to find detailed listings that include room rates, special deals and area activities. You can click on the 'check rates and availability' button to contact the innkeeper. If you happen to be heading to Iowa and wonder where to go first, perhaps you ought to try visiting Marion city first. While not many have heard about the city, Marion definitely has a lot of tricks up its sleeve -- it offers recreational activities and breathtaking views ideal for couples and families alike. If you want to really appreciate the city, you should stay at any Marion bed and breakfast. That is because the innkeepers of the different B&Bs in Marion have their own, small town way of treating guests -- something you will not find in fancy hotels in the city. The Granger House Museum is perhaps one of the biggest area attractions in Marion, and the Marion Arts Festival is the most visited event in the city. If you're into golf, Marion has Hunters Ridge Golf Courses and Country Club as well as the Indian Creek Golf and Country Club. By Victorian Lace Bed & Breakfast. 5 ANTIQUE MALLS By Victorian Lace Bed & Breakfast.